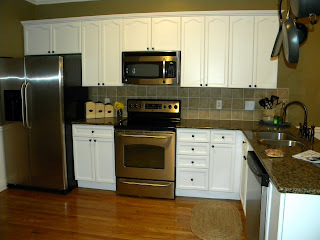 Keep on Rowland: Kitchen Remodel Is Complete!! It's allllllll finally finished. I tried my best to edit the pictures so the before pictures look uber-trashy and the after pictures look great. It seems like they always do that on home remodel shows/magazines/blogs. Without further ado, I will start with the before and afters. First is the kitchen. This is how the kitchen looked when we bought the house..Puke...seriously?! 1.Replaced all appliances with stainless steel. 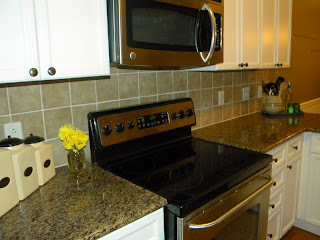 2.Replaced all hardware with an antique bronze finish. 3. Replaced sink with a new under-mount stainless steel sink. And the best part of all is that we did most of the work ourselves and bargain shopped for materials and appliances. We saved some major cash on this remodel. You would not believe it! 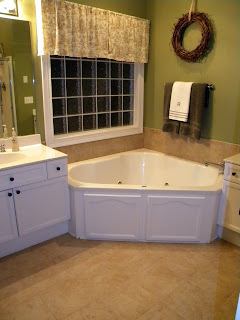 Now to the Master Bathroom! 2. Painted the cabinets white. 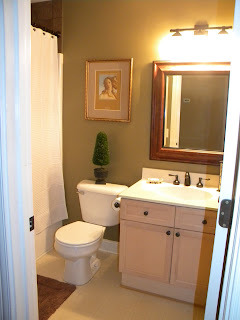 We are still wanting to replace that light fixture and mirror, so hopefully that will be the next post! 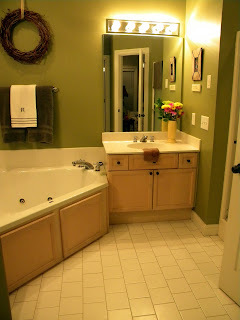 The upstairs bathroom (pretty much the upstairs in general) gets a bit neglected. We did replace the lights, faucets, mirror and paint when we bought it, though. 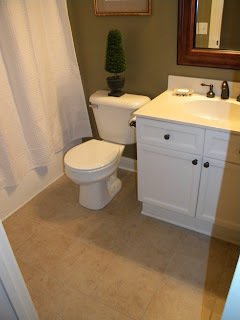 Since we had the tile guys in the house we thought it was time to give the upstairs bathroom a little bit of attention and get the floors tiled and cabinets painted up there as well. Not a huge change, but still a small difference. It has been a long journey, but thanks to some great references from our friend Bill (who also did our hardwood floors) we got some awesome guys in to help us with the redo. (Tile Works-Dean France & Hale's Painting-Greg Hale) I'd be happy to give you their info if anyone is looking to have some work done. That's it for our major projects. We will be doing some small projects before we put the house up for sale, but no more major projects. 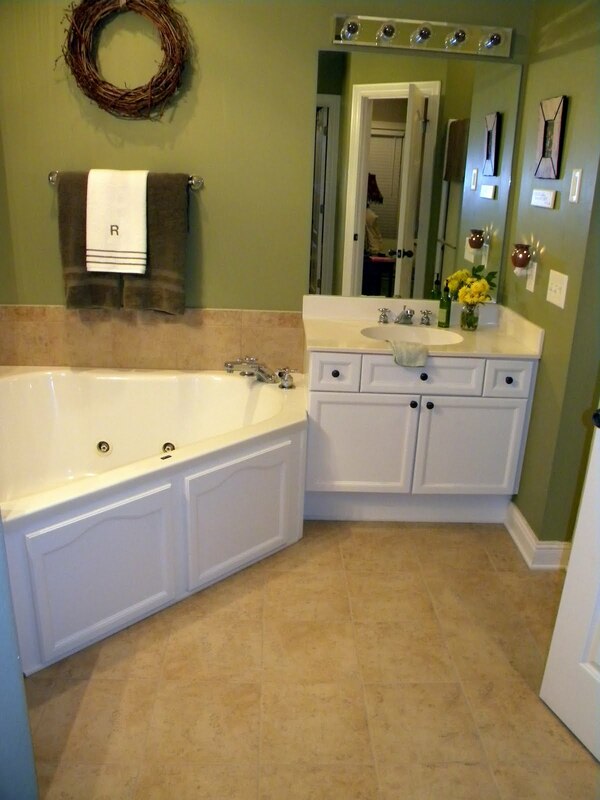 It is always exciting to see things improved and redone. On another note, we had a fabulous Easter weekend! Our cousins came into town to visit and we had a blast with them. We had a fabulous time getting pedicures and exploring historic downtown Franklin, then meeting up with the guys for a family party and some downtown adventures. :) Our church had a community Easter service which was also great! It was such a powerful message and a great Easter! Just a few short days until the big day- Country Music Half Marathon. I am very anxious and excited! I can't wait until the big run! The kitchen looks great! 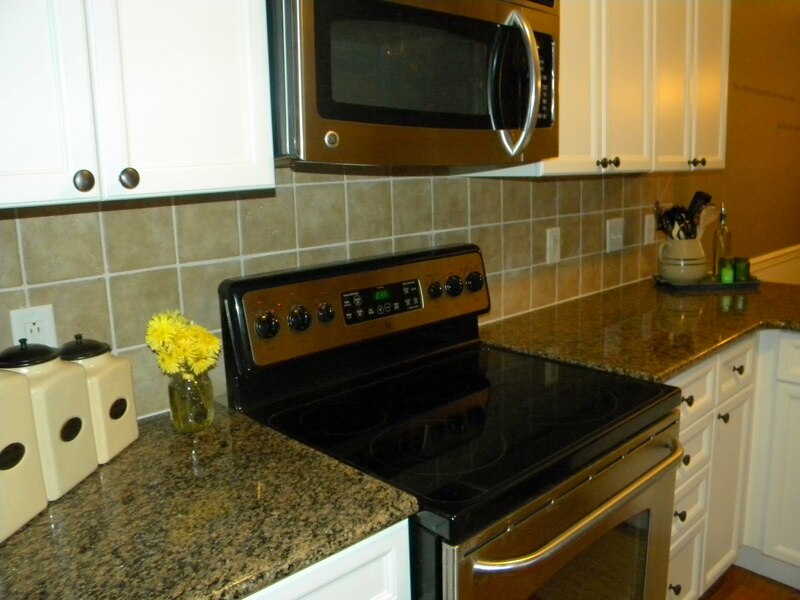 Love the backsplash! Amazing improvement from the before picture! 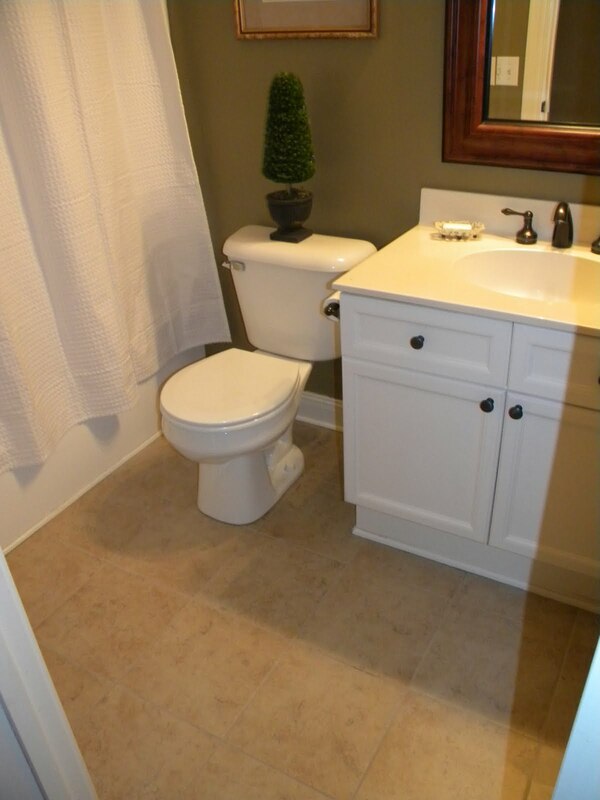 And the bathrooms both look great! Love the changes yall are making! Awesome choices! Everything looks SO good! What wonderful changes! Great job! And yo are cute as a button! Hi, Im Meme from Screaming Meme. I wanted to stop in and let you know about my giveaway series. This week is a slipcover...next week is a surprise...:) I hope you can stop in and sign up for oneof them...I look forward to your visit.